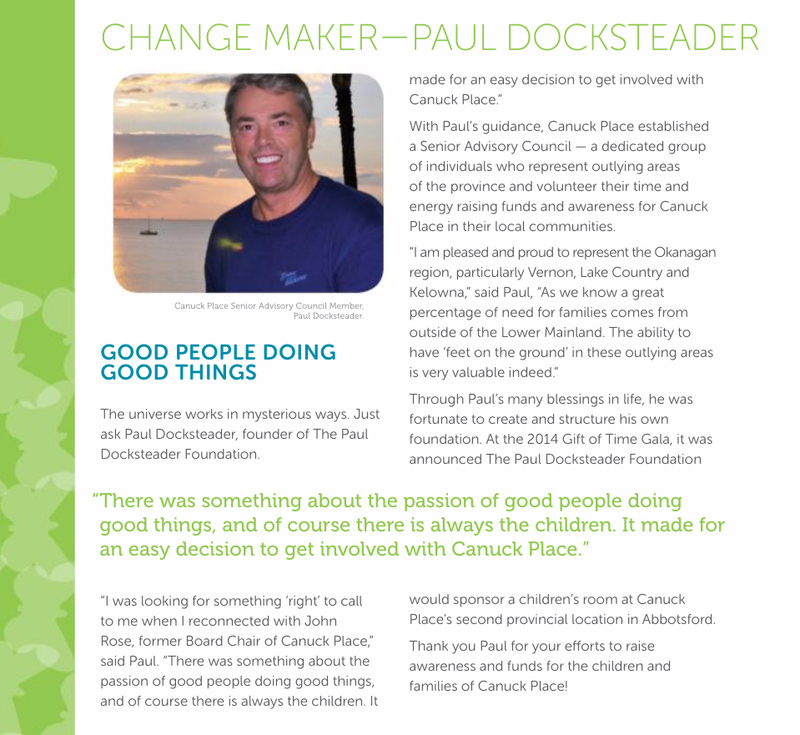 December 8, 2017: The Paul Docksteader Foundation is so very excited, pleased, and proud to support such an amazing project on behalf of our beautiful Okanagan community. ​October 25, 2017: The Paul Docksteader Foundation was proud to be in North Vancouver to donate $5,000 in support of the amazing (26 year old) Liz Rose. Pictured here with her hosts (and incredible parents), my long time friends John and Susan Rose, and the CEO of CPCH, Margaret McNeil. A wonderful, and jam packed evening of friends and generous supporters! Best of luck to you Liz, we are so incredibly inspired by you! September 10, 2017: Supporting health care in the North Okanagan. To date this event has raised $1.178 million net, which purchased essential medical equipment for Vernon Jubilee Hospital. This year’s event will raise money to fight heart disease at the hospital.